IDEAL Tape-Pak fish tape and winders provide fast, easy, convenient tape handling and storage. Made in the USA. 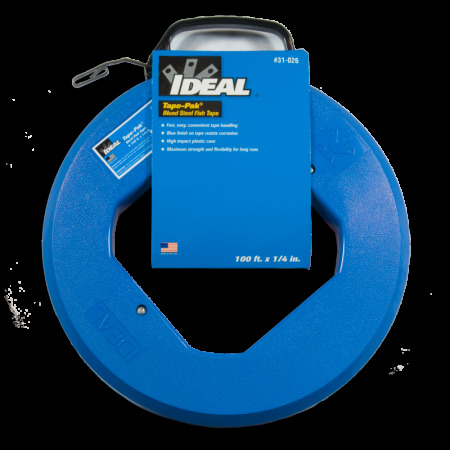 High-grade, tempered steel tape is fully protected and locked in reel when not in use so tape cannot kink or spring free.